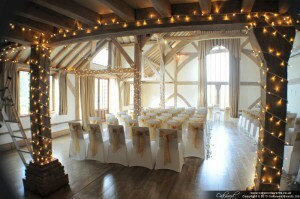 Cain Manor is a lovely venue with friendly staff and a real home-from-home feel. 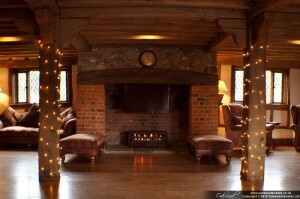 We visited again last weekend to wrap the pillars with warm white fairy lights in both the large barn-style ballroom and either side of the fireplace in the drawing room. 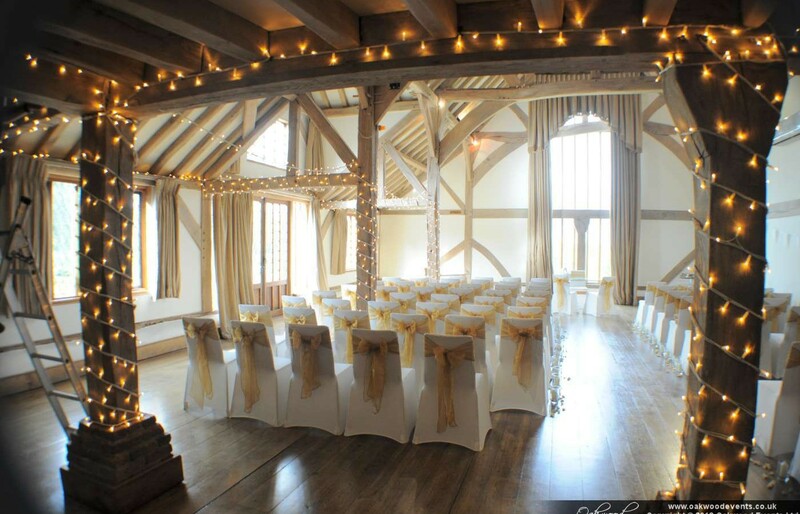 The ballroom was used for the ceremony, followed by the wedding breakfast and then in the evening for dancing so we installed the fairy lights with dimmers, enabling them to be bright during the day and then turned down to a gentle sparkle in the evening.